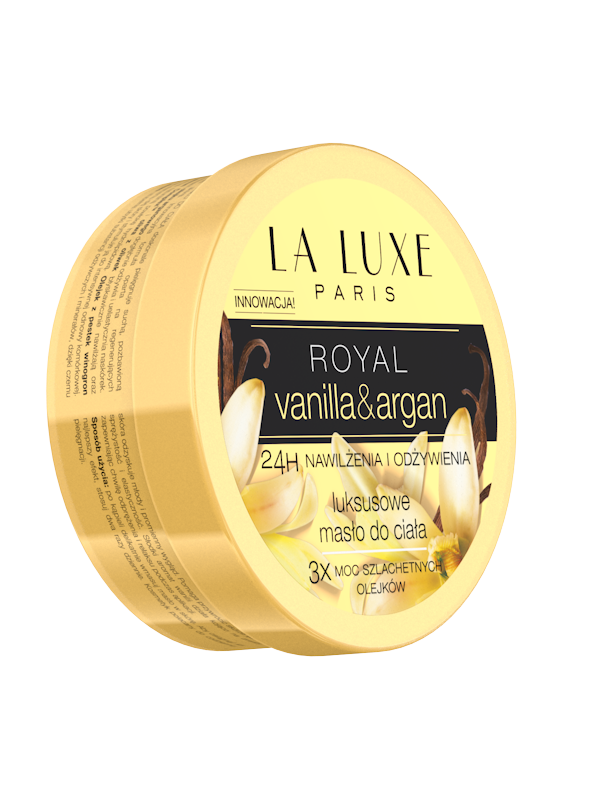 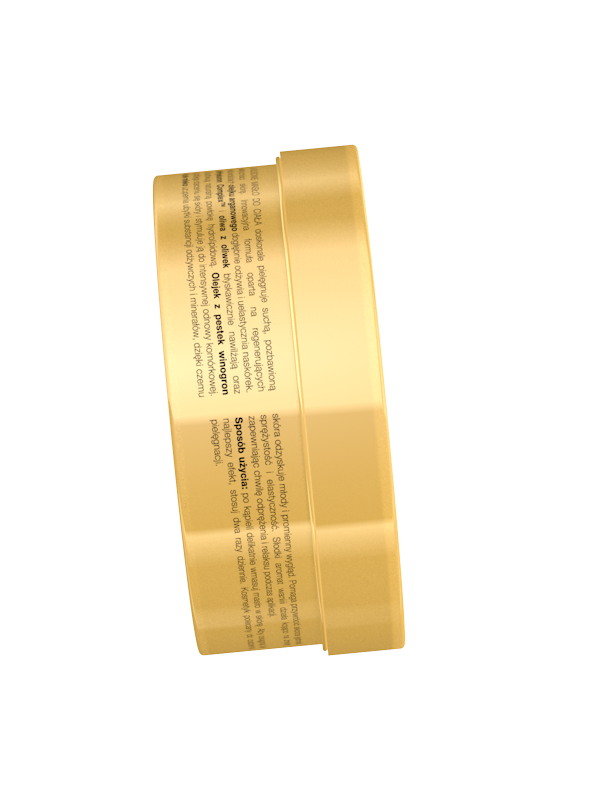 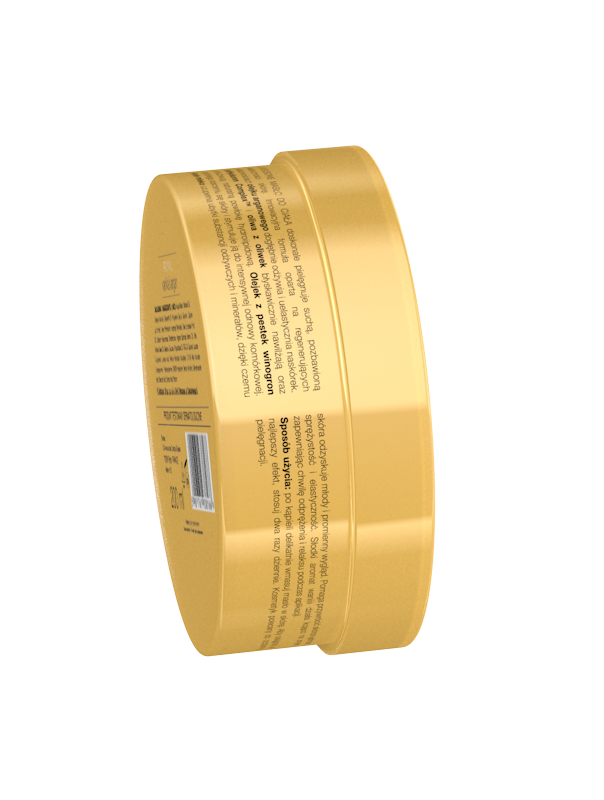 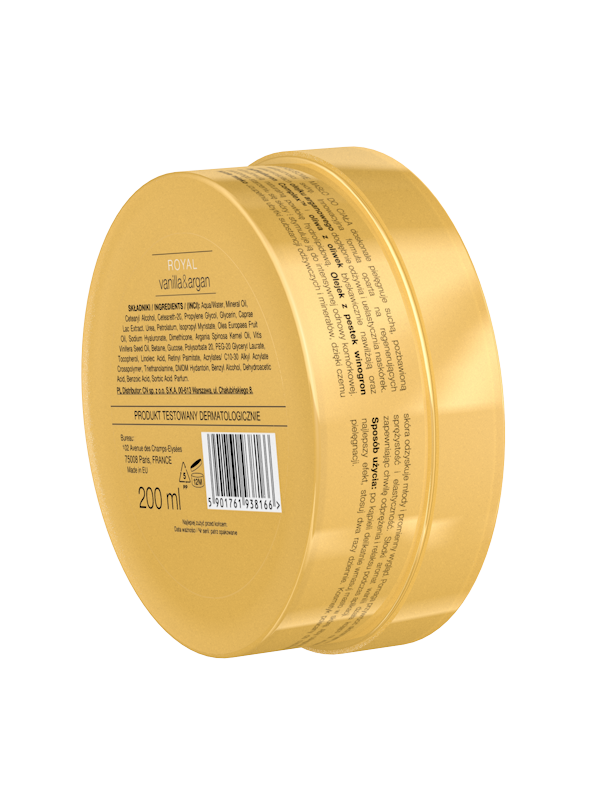 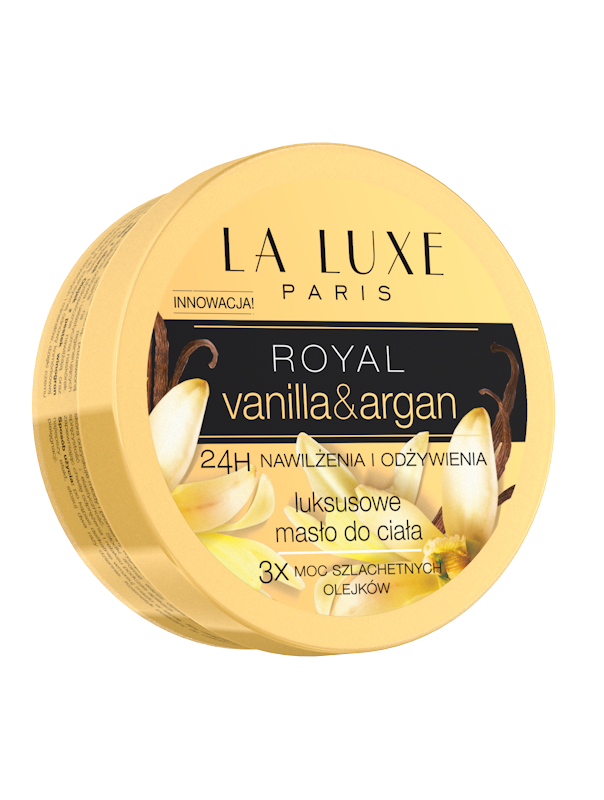 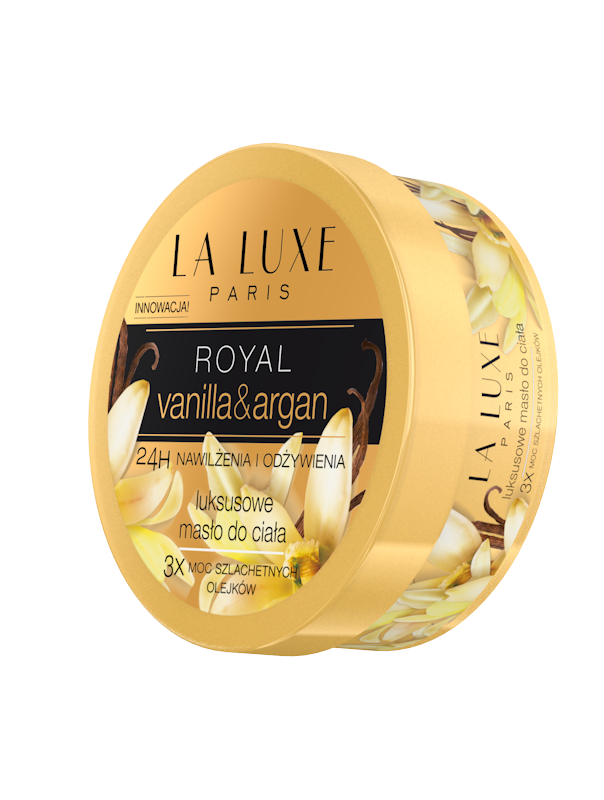 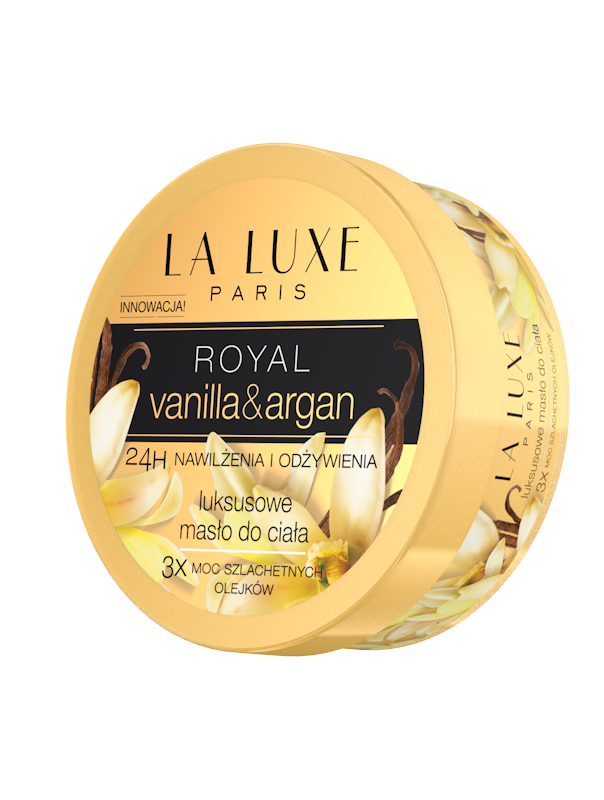 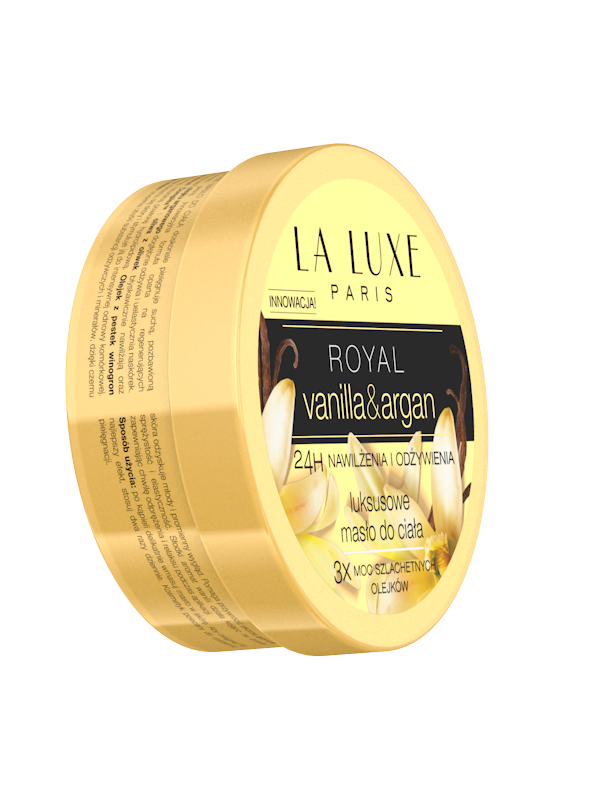 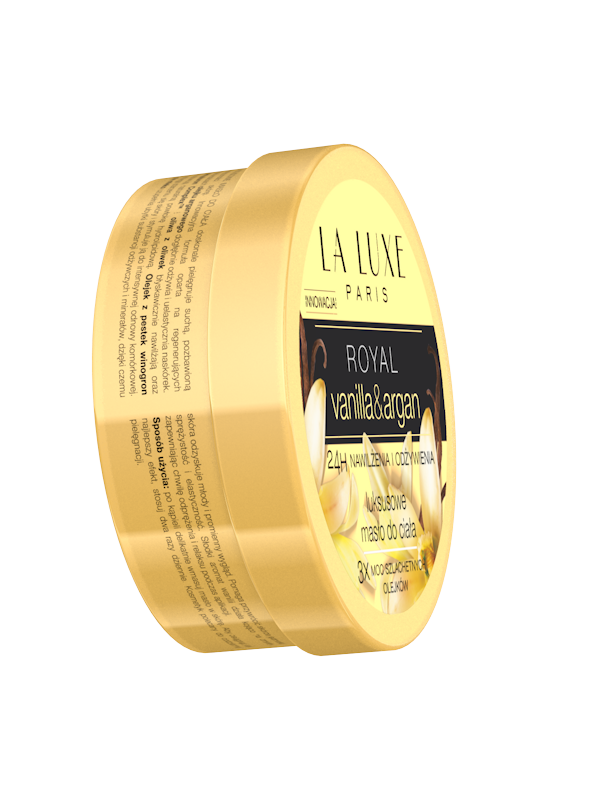 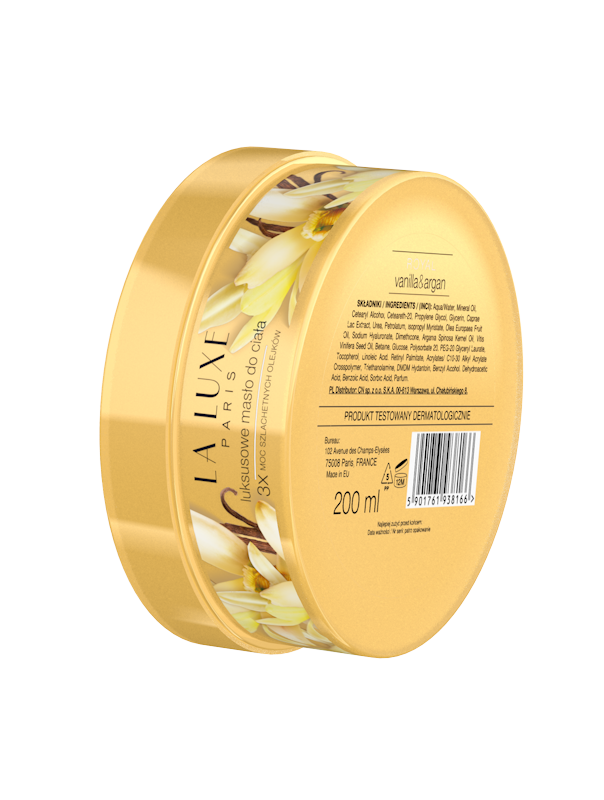 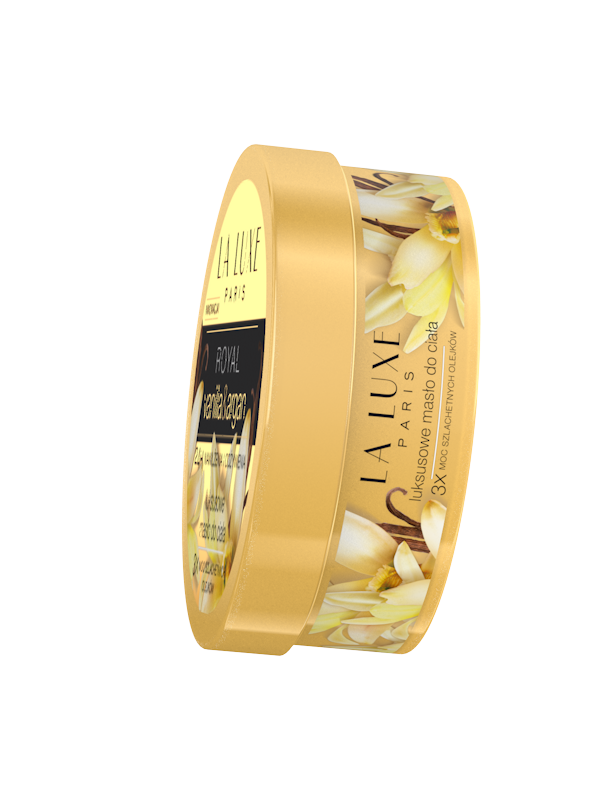 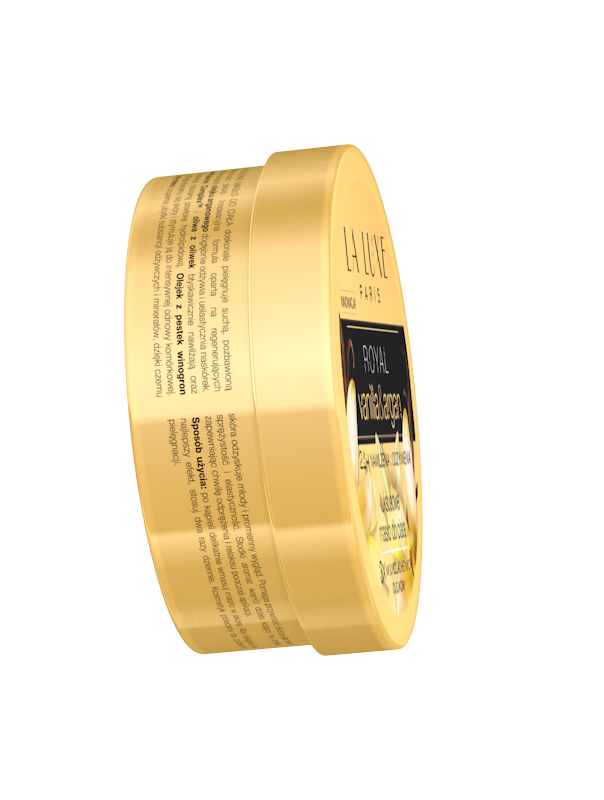 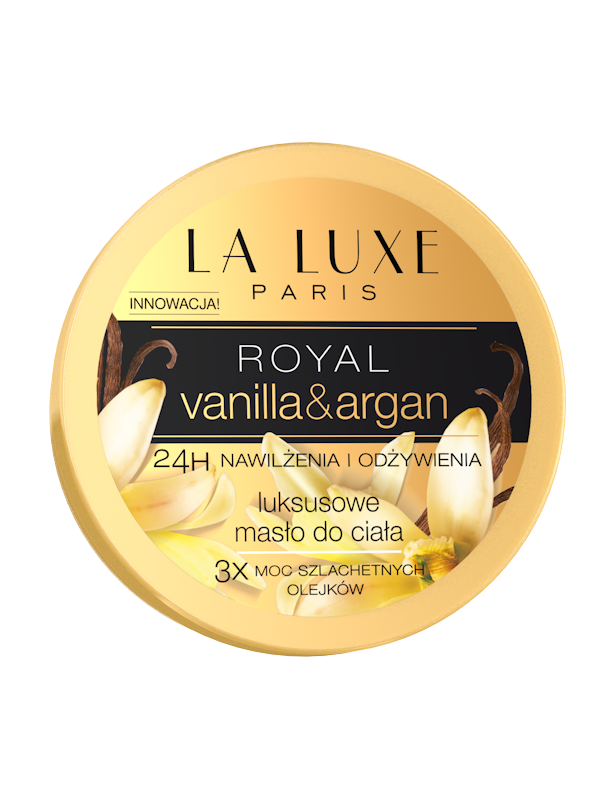 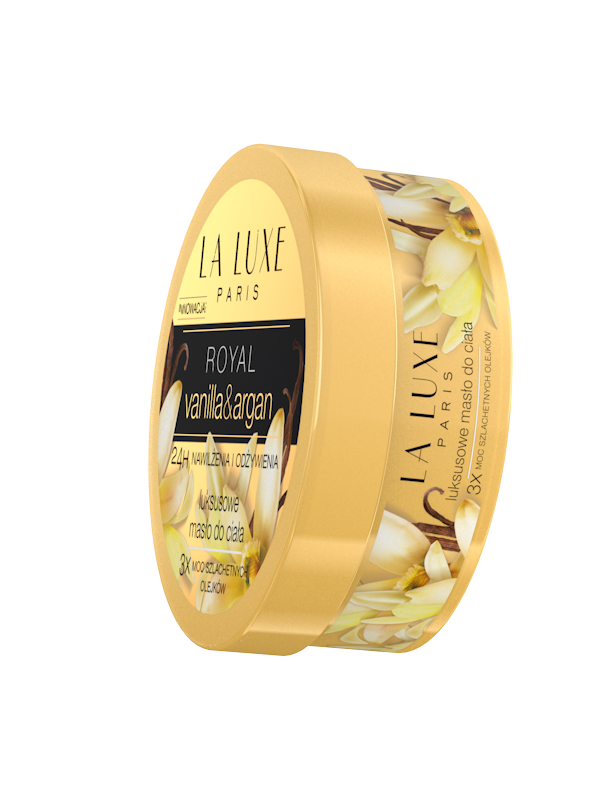 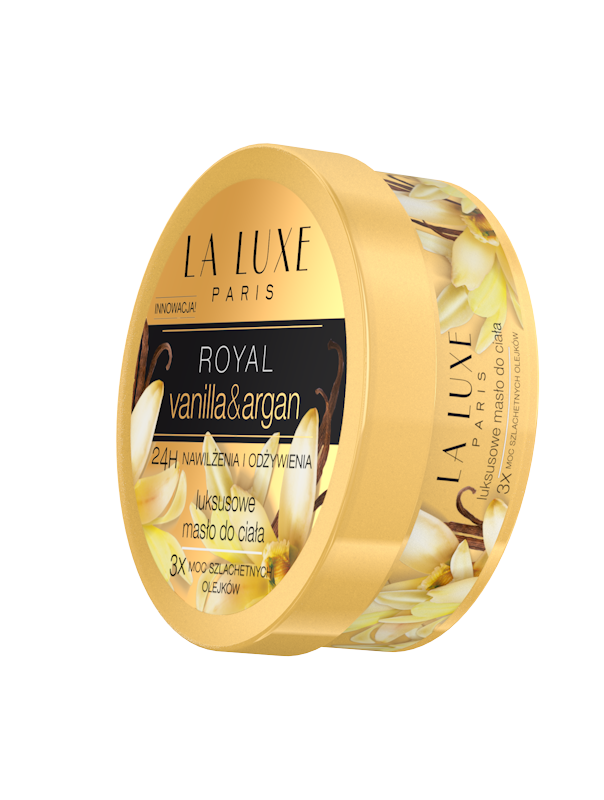 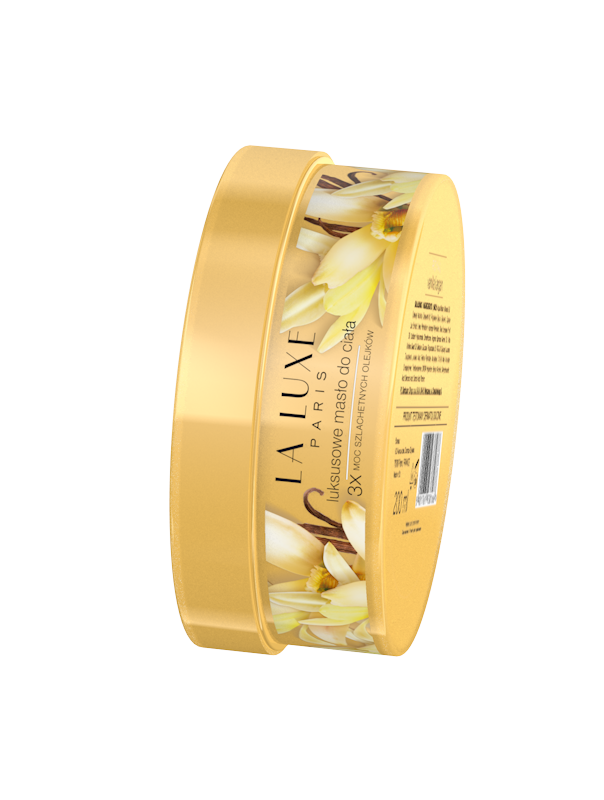 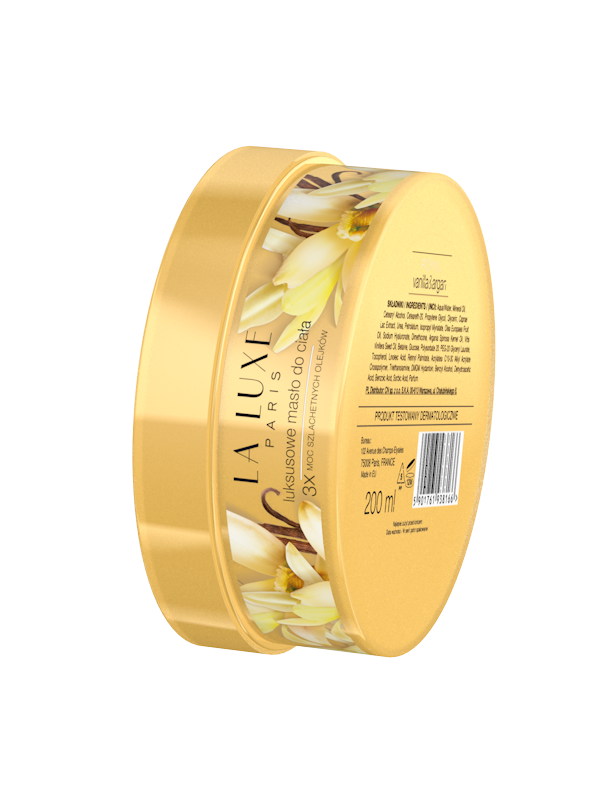 LUXURY BODY BUTTER - An ultra-rich body cream that provides intensive hydration for dry skin. 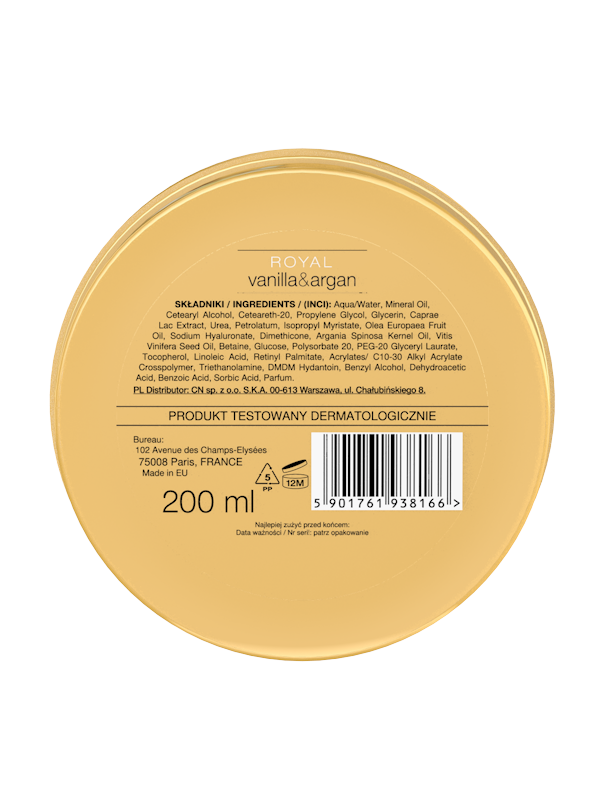 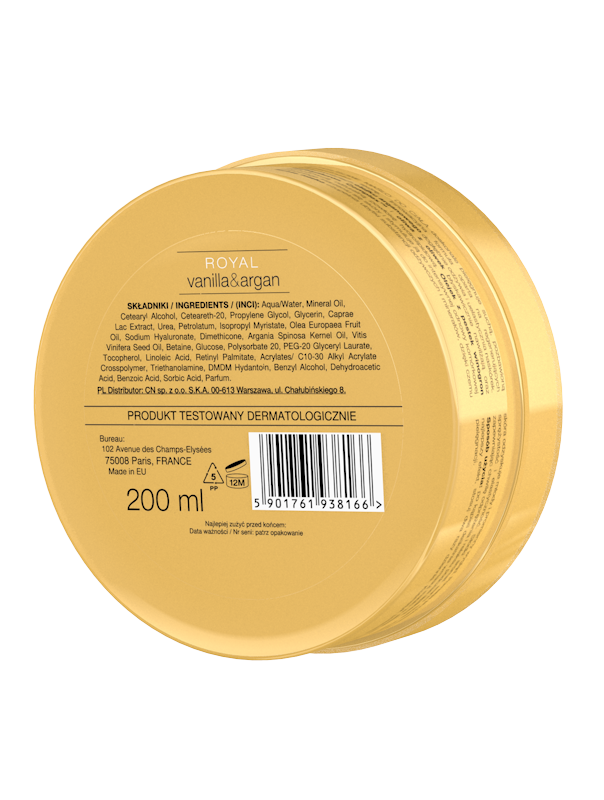 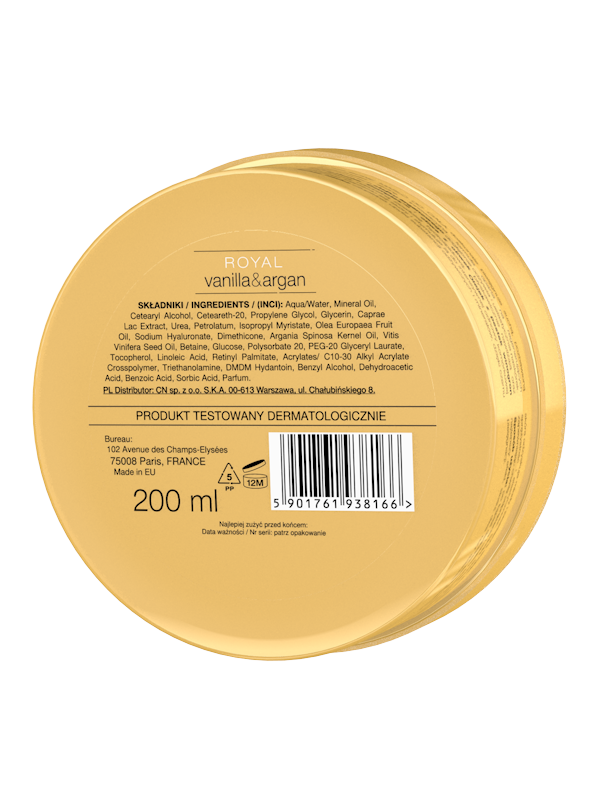 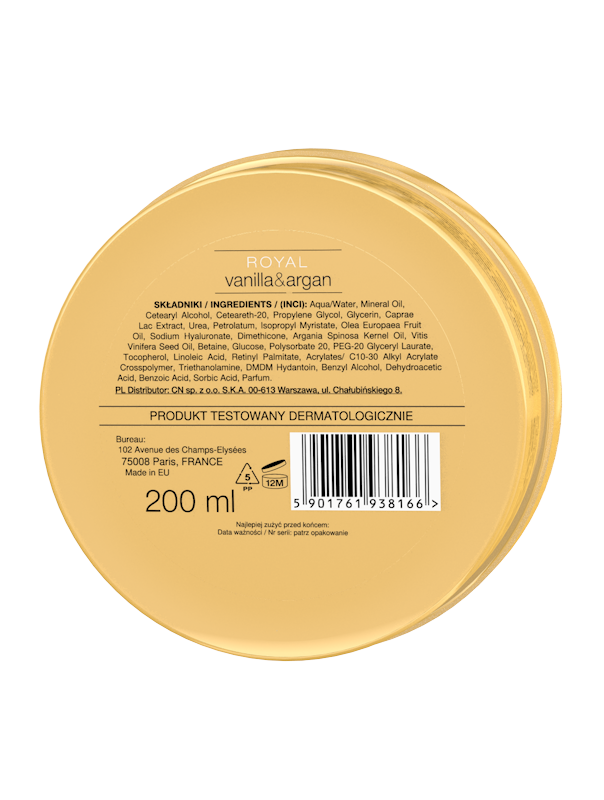 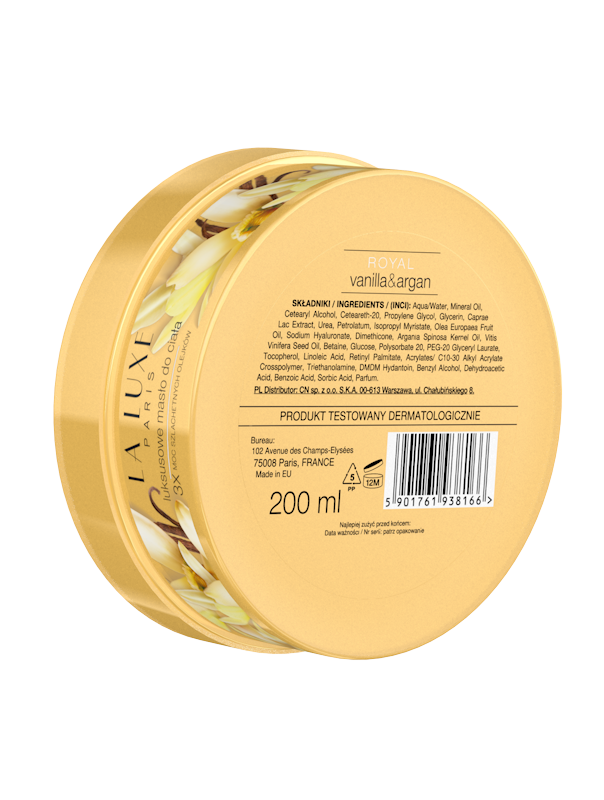 Innovative formula based on argan oil, that hydrates and moisturizes the skin. 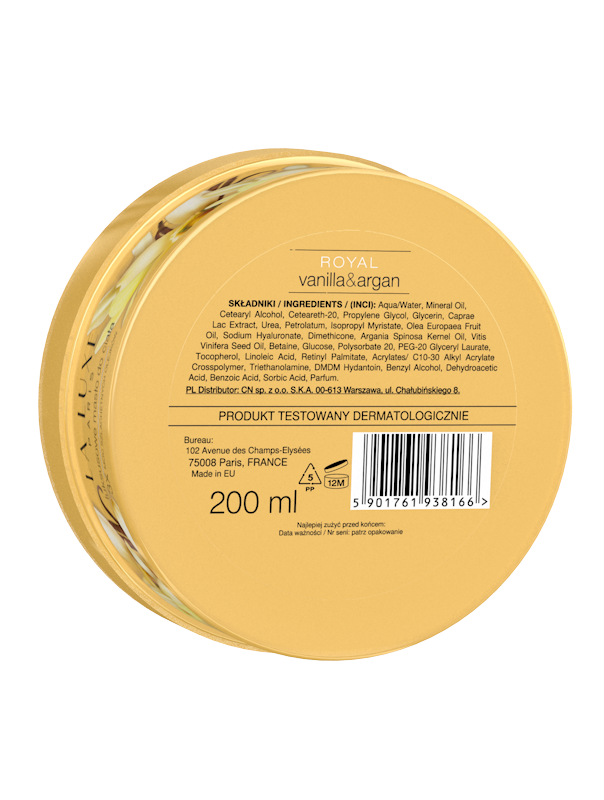 bioHyaluron Complex™ and olive oil easily revitalize skin and restore softness while improving skin's texture. 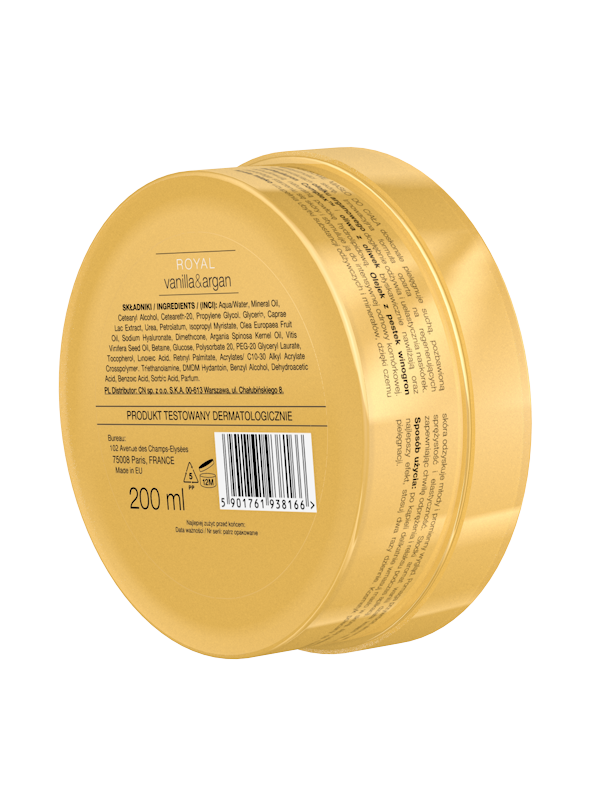 Grapeseed oil inhibits skin’s ageing and stimulates skin to intensive renewal. 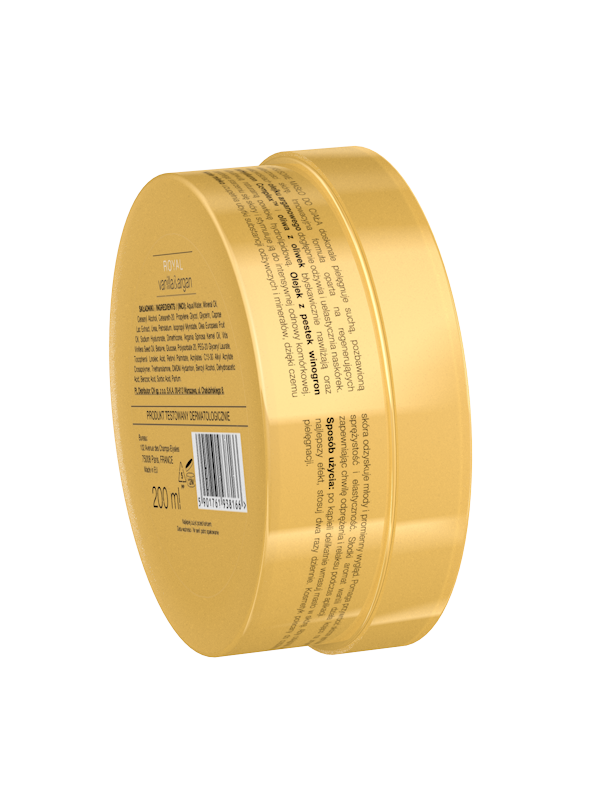 Goat’s milk replenishes and repairs skin cells resulting in young and radiant appearance of the skin. 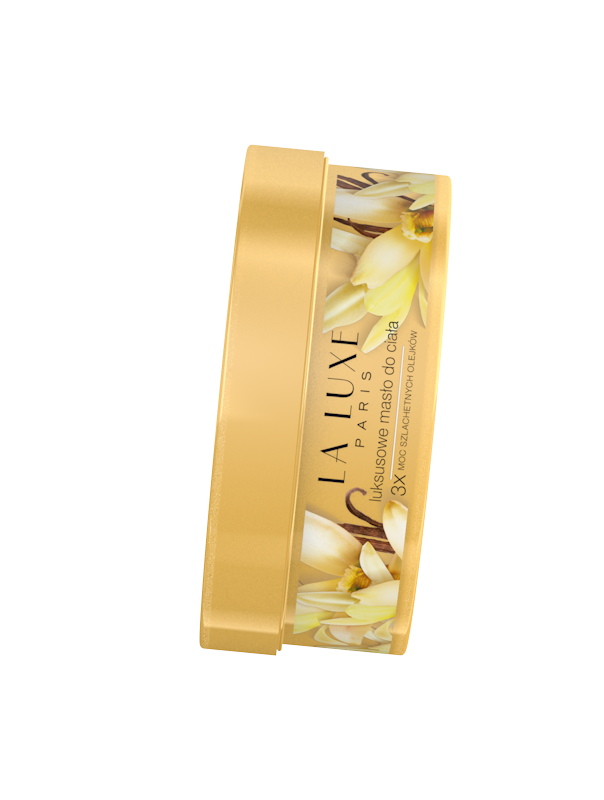 It is your answer to healthy, youthful, and radiant skin. 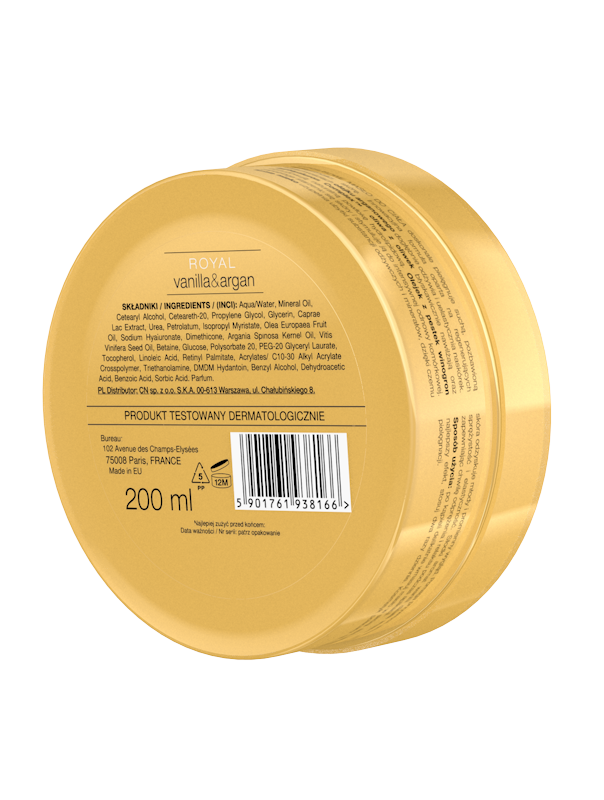 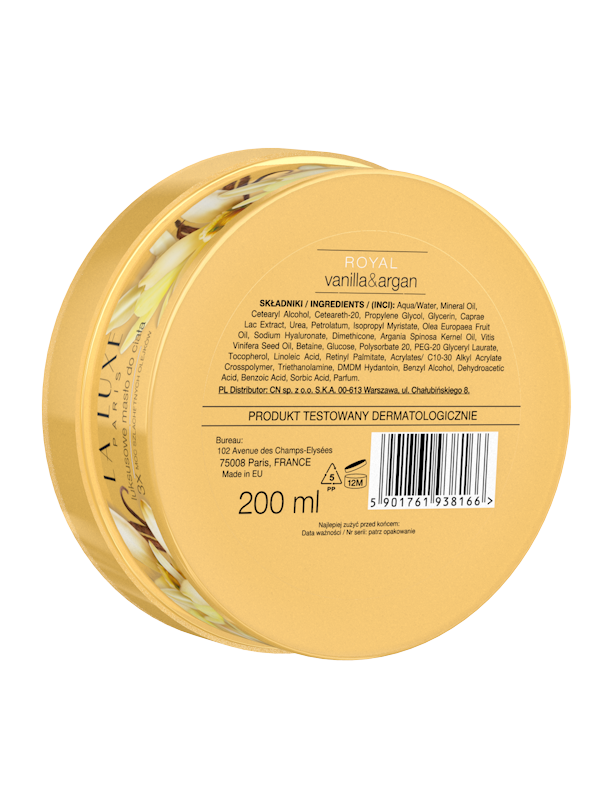 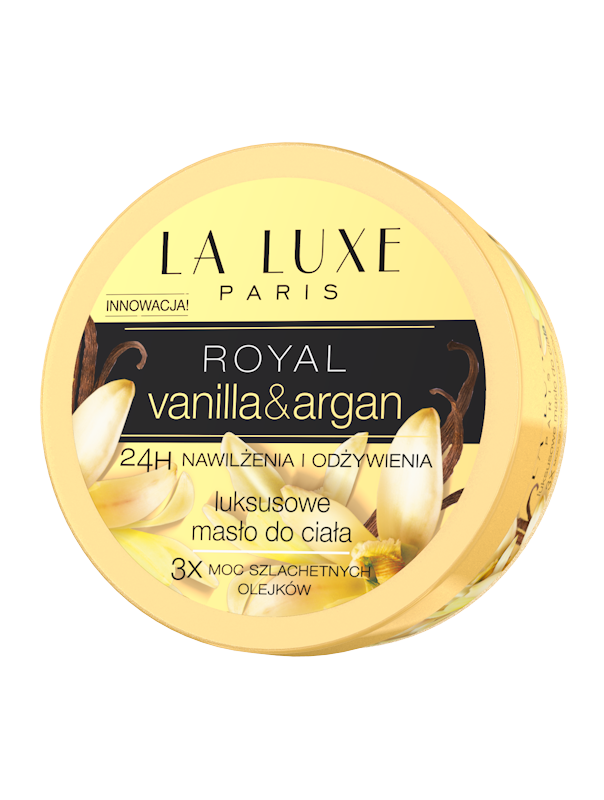 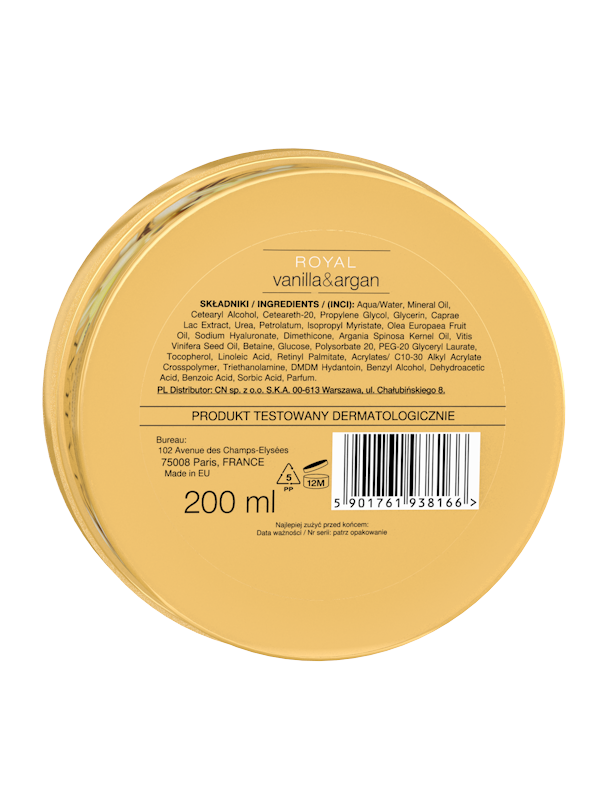 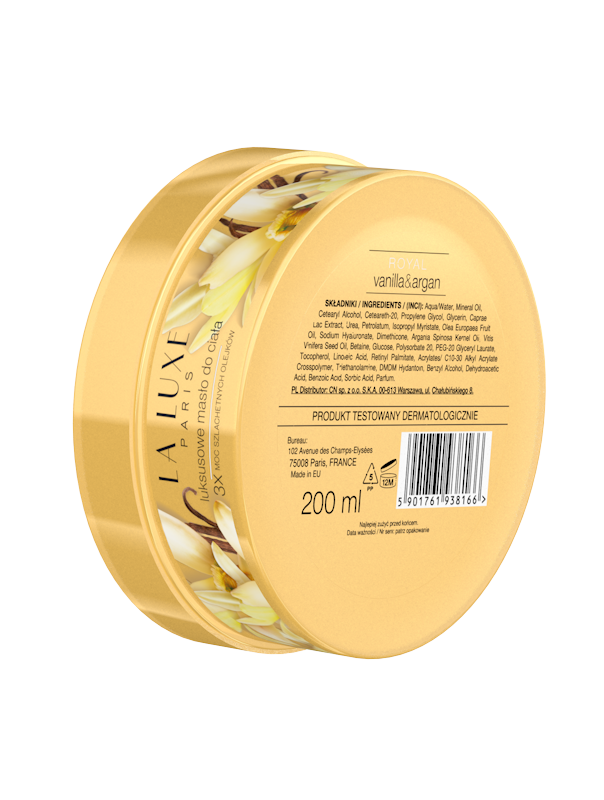 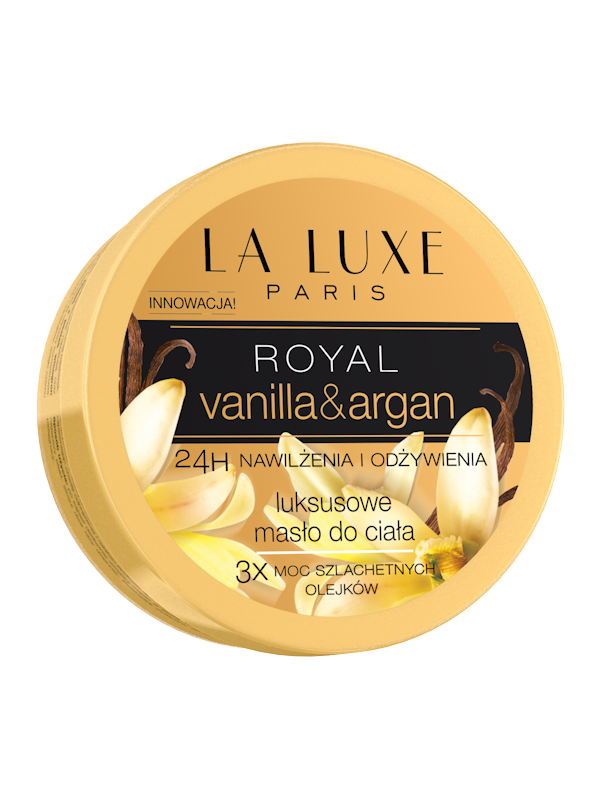 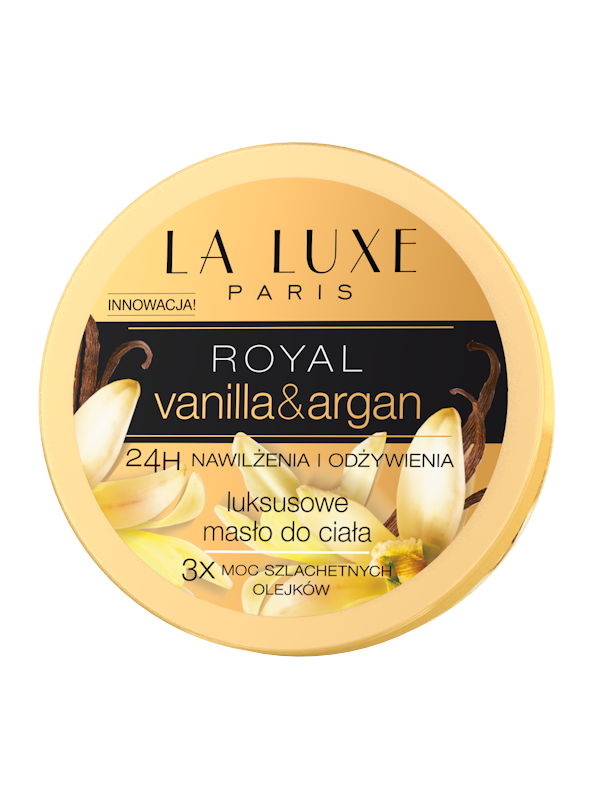 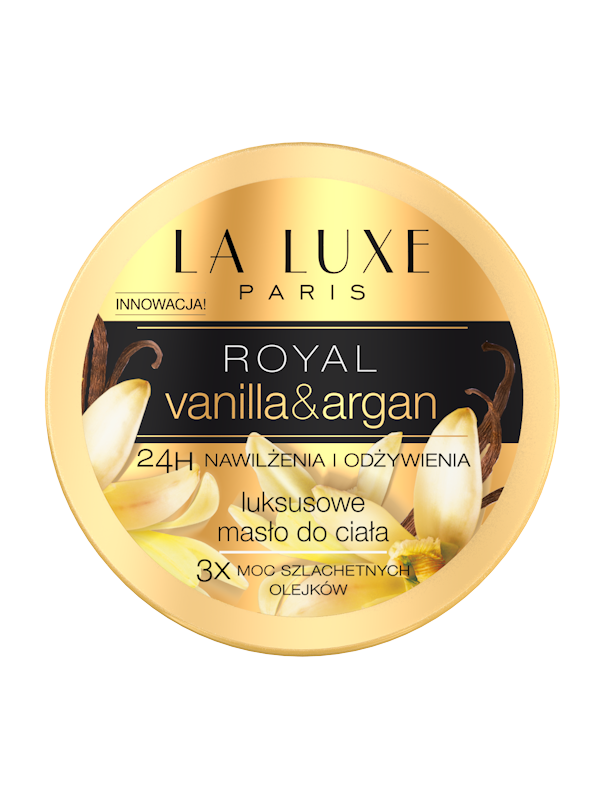 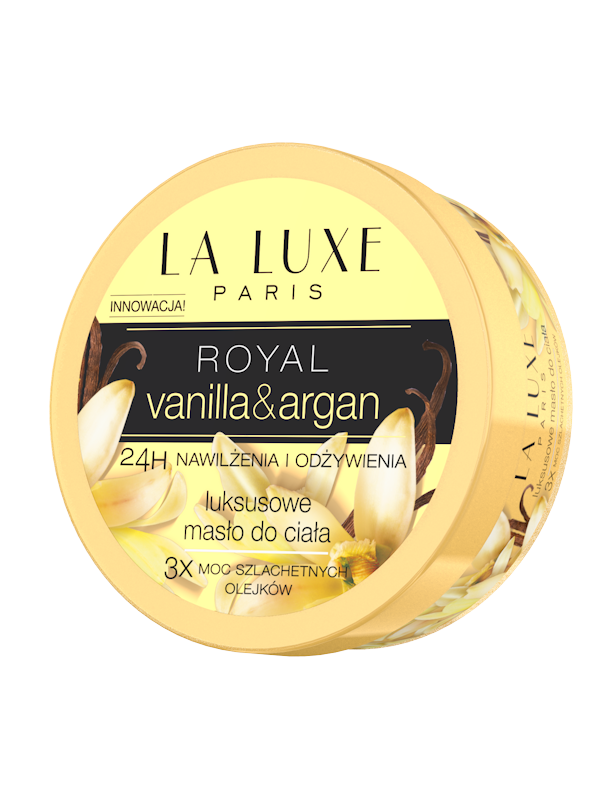 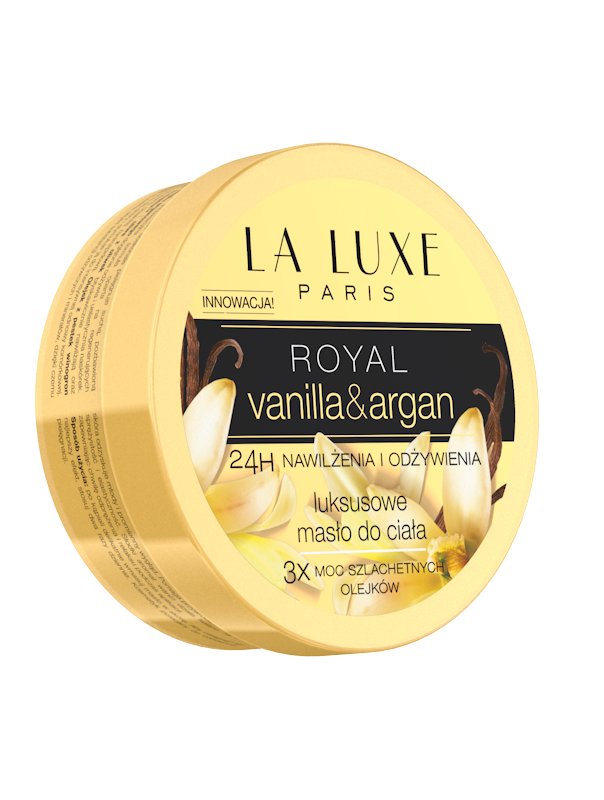 Sweet smell of vanilla soothes the senses and gives you a moment of relaxation.